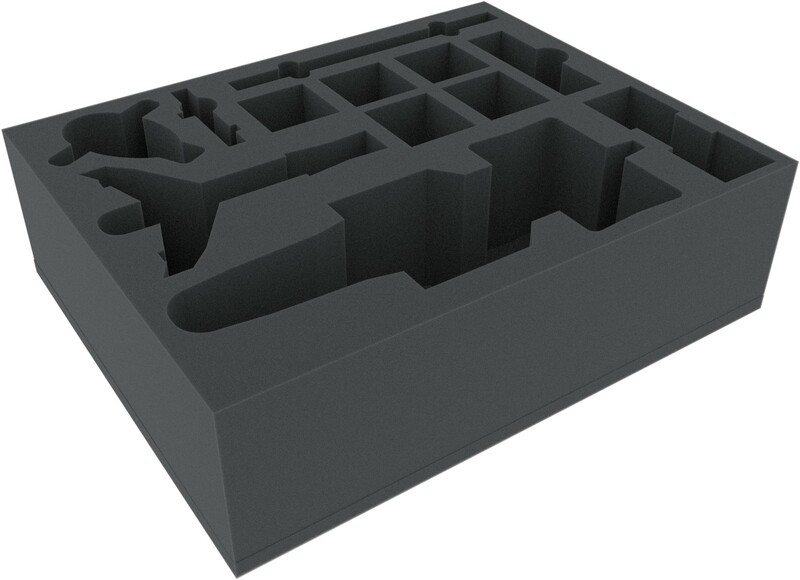 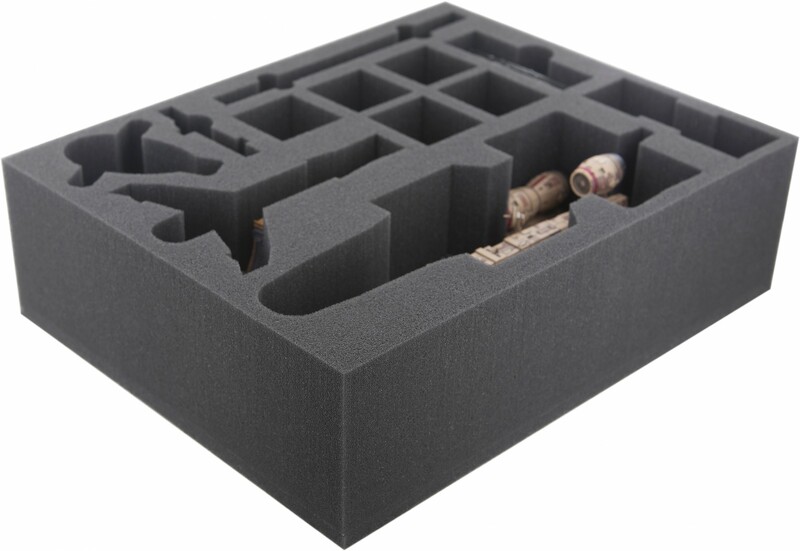 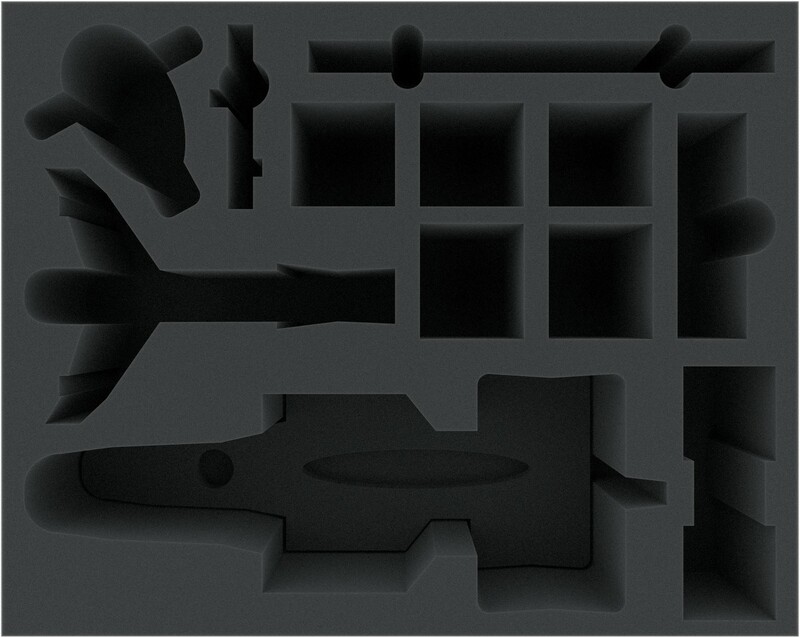 The foam tray is specifically developed for Star Wars X-Wing C-ROC Cruiser, Hound's Tooth, JumpMaster 5000 and Slave 1. 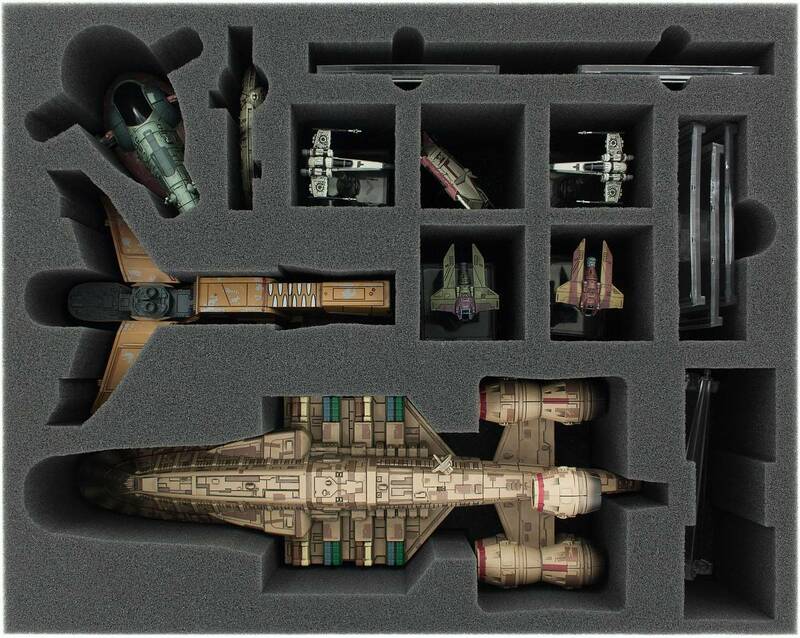 Thanks to space-saving division you have compartments for your accessories and five fighters. 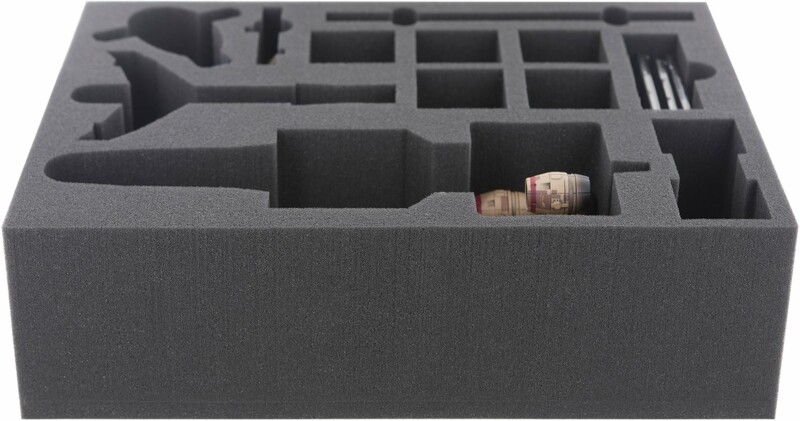 To protect the projecting elements on the underside of the C-ROC Cruiser we have an extra inlay with corresponding recesses. Dimension Feldherr Full-Size (FS) Foam Trays: 345 mm x 275 mm x 100 mm.